Winning the accolade, Best New Beverage Concept at World Beverage Innovation Awards 2016 earlier this year, was Cuppanut, a new brand of coconut teas. Here’s the story behind the product…. 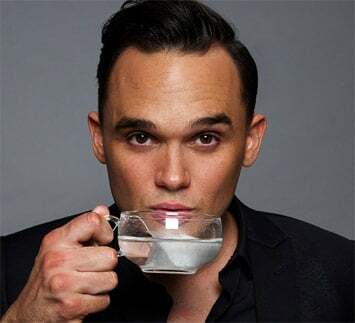 The face of the product, launched in April this year, and the man behind the venture is UK pop star, Gareth Gates, the 2002 Pop Idol runner up – who famously lost out to Will Young. Of all the avenues for Gareth’s career to go down, this is probably not the one most people would have anticipated. However, he is passionate about his product, which he says capitalises on the recent surge in popularity for coconut products as a ‘superfood’. He says: ‘I can’t drink tea or coffee as I suffer badly from migraines. I’m a huge fan of herbal teas though and I love coconut. ‘I noticed there was a gap in the market for a hot coconut drink so I started to play around with flavours, spooning coconut in to empty teabags and I felt like it was really going to work. Cuppanut teas come in biodegradable bags filled with real coconut mixed with other natural ingredients. The range comprises three flavours: Coconut Infusion, a fragrant and naturally sweet infusion for a tranquil cuppa; Coconut & Cranberry Infusion, described as a delicious fruity infusion; and Coconut, Ginger & Turmeric Infusion, a earthy, uplifting and warming spiced tea with anti-inflammatory properties coming from curcumin and ginger.